Portable chargers are an increasingly desirable accessory in the smartphone era, and having two or three stashed away (like one in your glovebox for emergencies) is never a bad call. If you're looking to do it on the cheap, we've got a deal today that's definitely one you should hop on. Amazon's offering a 5000mAh Vaas portable charger with dual USB ports, and actually includes six different USB tips right in the box for $14.99. 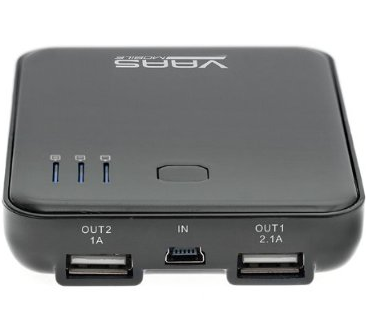 The charger itself charges via miniUSB. At 4 stars with 17 reviews, you can at least take peace of mind in knowing there's nothing particularly bad about it (I mean, it's a portable charger, there are only so many potential flaws). 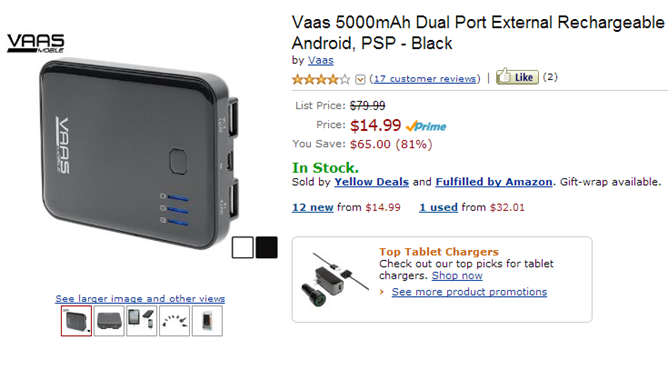 The Vaas 5000mAh is available in black or white.